Words With Friends is back and better than ever, so gather all your literary besties for the ultimate night-in with Words With Friends 2. 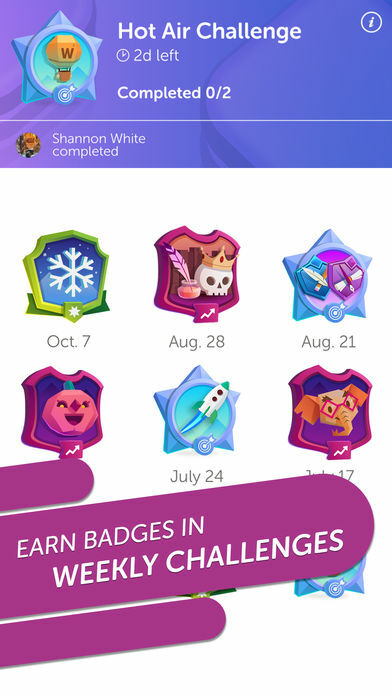 The sequel to our favorite app has returned with new features, such as the Solo Challenge, where you’ll compete against a bot with difficulty increases, and the fast-paced Lightning Round mode, where you’ll be grouped into teams for lightning-fast competition on changing boards. Words With Friends 2 takes the head-to-head, word-building competition of 2009’s Words With Friends and adds a solo challenge mode, a team-based lightning round mode, strategy-improving boosts, and an updated social dictionary that adds 50,000 words. 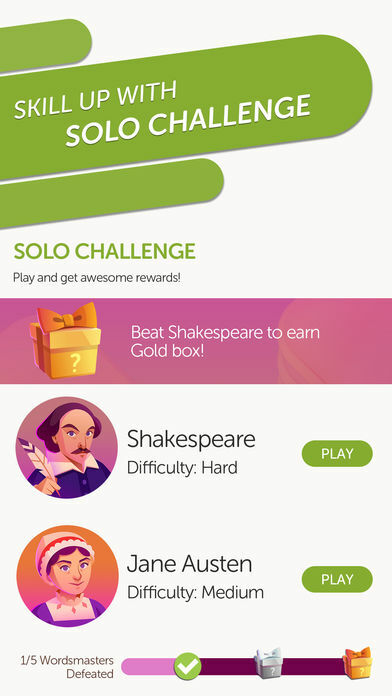 The most exciting feature is probably the solo challenge mode, which allows people to build up their Words With Friends skills against AI opponents. It’s designed to get progressively more difficult, so it requires you to play better and think smarter as you continue. Another new mode coming with Words With Friends 2 is lightning round, which matches you up with four teammates to play against another team of five players. The matches are played with everyone on the same board, placing words in quick succession. The new boosts that are in the game allow players to see possible tile placements before laying down a word, as well as get some insight into what the best possible word was that players could’ve put down (but only after the fact). The updated social dictionary contains 50,000 new words suggested by players on top of the existing words that were in Words With Friends. 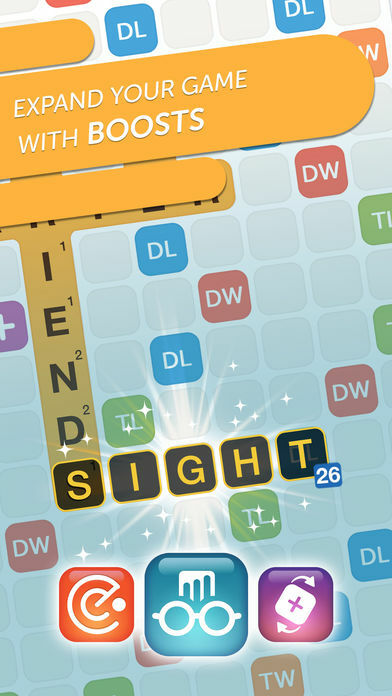 Players could already use the social dictionary in Words With Friends, but now it comes with usage stats that let you see how your creativity in using the new words stacks up against other players’.